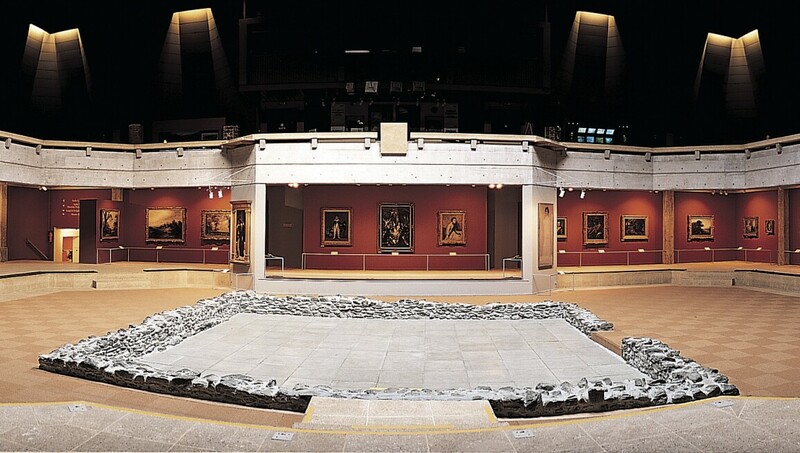 When Léonard Gianadda excavated the foundation for a new building on his property in the spring of 1976, he unearthed the remains of an ancient Celtic temple – the oldest of its kind in Switzerland. A few weeks later, his brother Pierre died tragically while aiding fellow passengers after a plane crash. Mr Gianadda dedicated the temple site to his brother's memory, and immediately began creating a world-class cultural centre; concerts and exhibitions now take place inside the monumental structure Mr Gianadda erected to protect the beguiling ruins. Marc Chagall’s beautiful mosaic La Cour is on permanent view; in addition, an extensive sculpture park features works by Joan Miró, Auguste Rodin, Germaine Richier, César, Niki de Saint-Phalle and Arman.